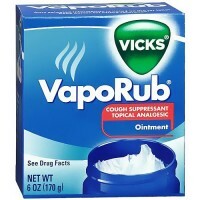 Relieves nasal and upper respiratory congestion. 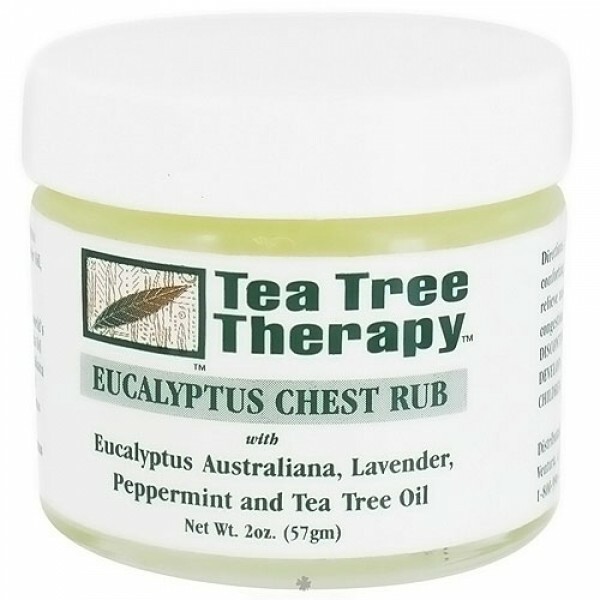 Eucalyptus chest rub with eucalyptus australiana, lavender, peppermint and tea tree oil. Eucalyptus oil is sourced from the worlds largest eucalyptus plantation, banalasta oil plantation. Banalasta eucalyptus australiana has a milder more pleasant aroma with strong anti-microbial qualities. Eucalyptus australiana is the species of choice for aromatherapists as the medicinal eucalyptus most suitable for use on the skin. Olive Oil, Beeswax (Apis Mellifera), Eucalyptus (Eucalyptus Australiana) Oil, Peppermint Oil, Lavandula Angustifolia (Lavender) Oil, Tea Tree (Melaleuca Alternifolia) Oil (Melaleuca alternifolia). Massage onto chest for comforting and penetrating warmth. Do not use on children under two years of age. Only use on unbroken skin.